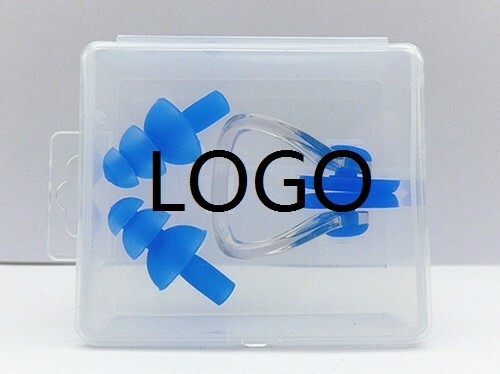 Ear plug & nose clip is made of silicon & PC. It is packed into case. The logo can be imprinted on case with all colors. Price includes 1 color 1 side 1 location with silkscreen imprint on case. 2 1/4" x 2 1/4" x 7/8"
Imprint Size: 2" x 1" on Case. Package: 100 pcs/ctn, 4.4 lbs/ctn.